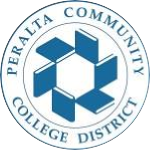 Go to www.peralta.edu to enroll in classes! What can you do with a certificate or degree in biomanufacturing? With a certificate or degree in biomanufacturing from Laney College, you will have the skills to gain employment in over 240 biotech companies in the Bay Area. 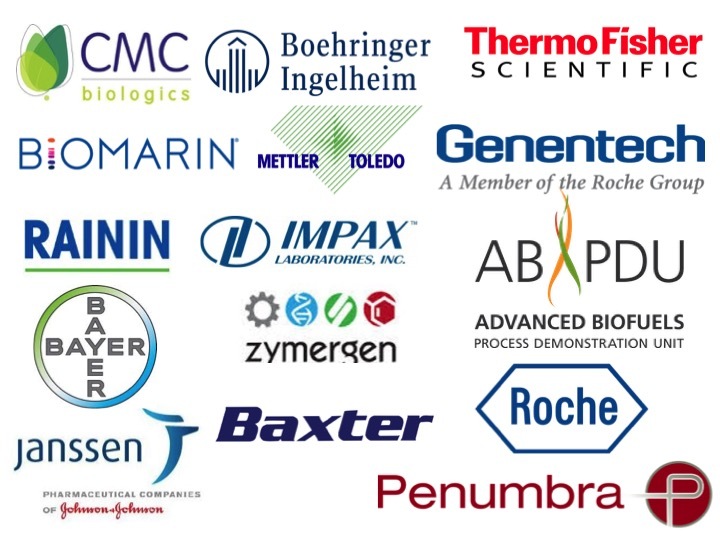 These companies include major drug manufacturers such as Bayer, Genentech, Boehringer-Ingelheim, and BioMarin and hot new food tech and biomaterial companies such as Zymergen, Geltor, Advanced Biofuel Process Demonstration Unit (ABPDU), and Pivot Bio. The starting pay for entry-level jobs is $18-20 per hour and there are opportunities to advance rapidly within the industry. The Laney College Biomanufacturing Program has placed over 190 graduates in various biotech companies since 2012. Solano Community College now has one of two B.S. programs in biomanufacturing at a California community college (with the other being at Mira Costa College in San Diego). Since the program is at a community college, the 4-year cost is estimated to be approximately $10,000 for a B.S. That’s less than half the cost of a bachelor’s degree at a CSU, and less than 20% of the cost of a bachelor’s degree at a UC. Furthermore, Solano’s Vacaville campus (located right next to Genentech) houses the program’s new $40 million science building. The building is built to match industry facilities with clean rooms, upstream and downstream sections, cell culture lab and bioreactor suites, protein purification suite, and more. Classes from Laney’s biomanufacturing program are transferable to Solano, so it will be possible now to complete the first two years of the A.S. degree at Laney and then transfer to Solano to finish the upper division classes and obtain the bachelor’s. Students pursuing this pathway will need to substitute a few classes in order to meet admissions requirements at Solano. Please consult the biomanufacturing faculty for more information. See more about Solano’s program and admission requirements here: http://www.solano.edu/biotech/baccalaureate.html. Biomanufacturing is a term that refers to the production, isolation and purification of medicines made by pharmaceutical companies. It also includes any manufacturing that uses cells to make the product, like food companies making artificial meat. This is an exciting and expanding new field. The Bay Area is the world’s leader in biomanufacturing. The Biomanufacturing Program provides students with the necessary training in the basic skills of biology, biomanufacturing, chemistry and math, as well as an introduction to biomanufacturing careers to enter the workforce. Two certificates and an Associates of Science degree are offered. Each certificate/degree prepares the student to work as an entry-level technician and other positions in the manufacturing component of the biotech/pharmaceutical industry. Please see the descriptions of the different programs on the Biomanufacturing Degrees page. 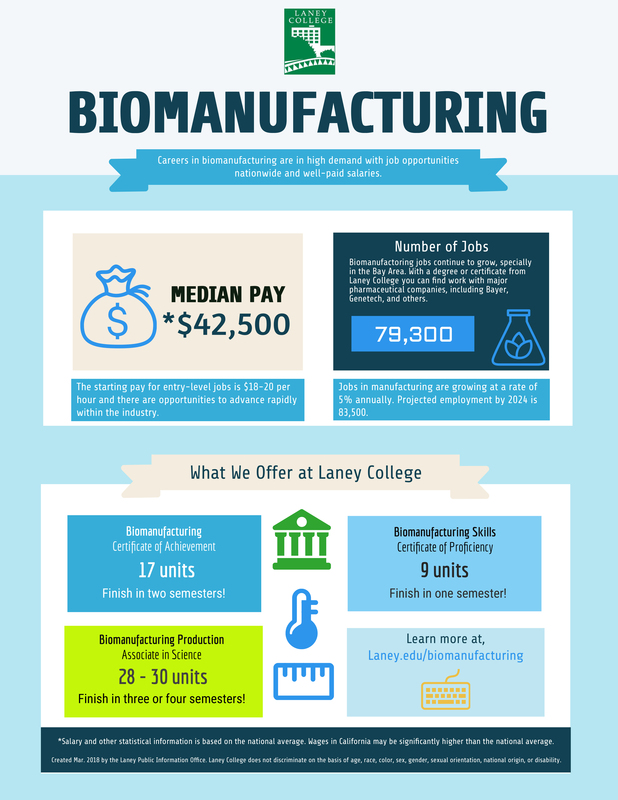 There is a demand for workers with the skills gained in the Laney Biomanufacturing Program. In addition, biotech companies will frequently pay for the continuing instruction of students as they progress toward bachelor’s and graduate degrees. 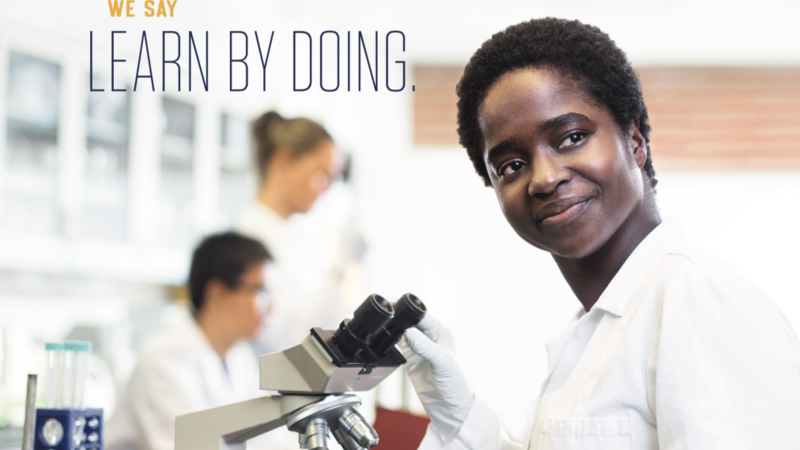 No prior training in biomanufacturing, biotechnology, or other scientific fields is required; however, a desire to learn new high tech skills and a commitment to hard work are important. 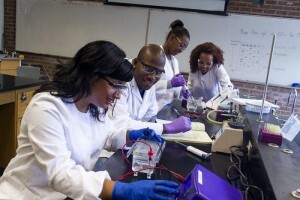 The Laney College Biomanufacturing Program is a member of Bio-Link, a national consortium of higher education institutions and high schools that promotes biotechnology through workforce education.